Those of you who get paid by the hour would probably want to have a tool to track the hours you have worked. 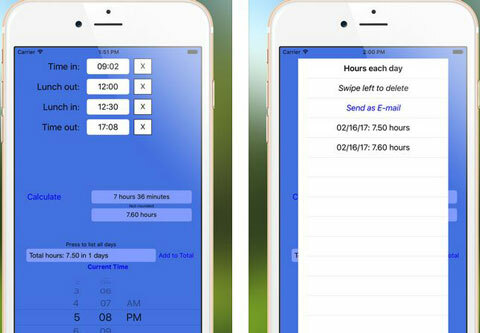 Time Clock Helper for iPhone can help. It gives you 2 ways to input values. You can record the total hours and view all recorded days up to 400. The app lets you easily log your time in, lunch in/out, and out times. Want to skip certain punches? No problem. Time Clock Helper can round timers to the nearest 6 or 15 minutes. You can track multiple days and email them. Time Clocker Help is available for under $3 at this time.